With more than 100 million users and over one billion hours of monthly listening, Spotify helps artists reach legions of music fans all over the world. 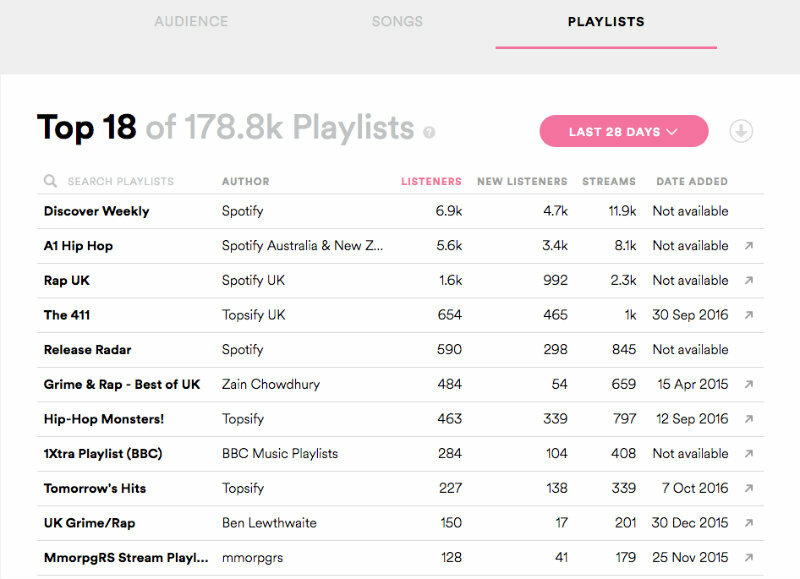 You can now view and track your Spotify analytics using Spotify for Artists, a service which offers bands and musicians the chance to get know their audience better. Read on to discover how Spotify for Artists' useful Spotify analytics and fan insights to help you understand the behaviour and habits of your listeners. 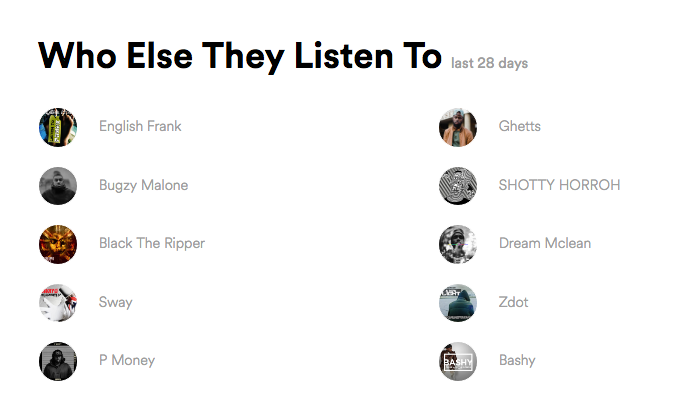 If you’re an artist with music on Spotify, Spotify for Artists provides some fantastic tools to give you a deeper understanding of who is listening to your music on this huge streaming platform. Your monthly and daily Spotify listeners are tracked using a helpful graph, so you can see the impact your music is having on your audience over different timescales. You can also track the number of new fans you have acquired over time, so you can see when any spikes in your followers occurred. 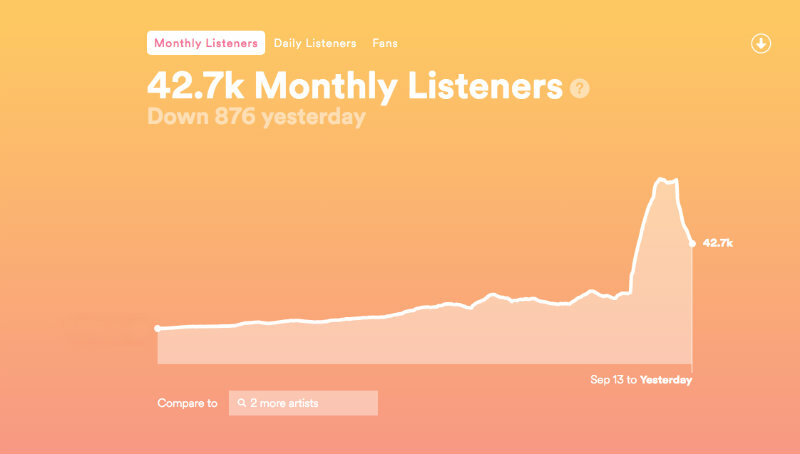 You can also compare your listener and fan statistics to any other artist on Spotify. Simply type their name into the ‘Compare to’ box to see their stats alongside your own. Information about your fan engagement is also available through your Spotify analytics, including how many of your current fans were included in your monthly listeners. 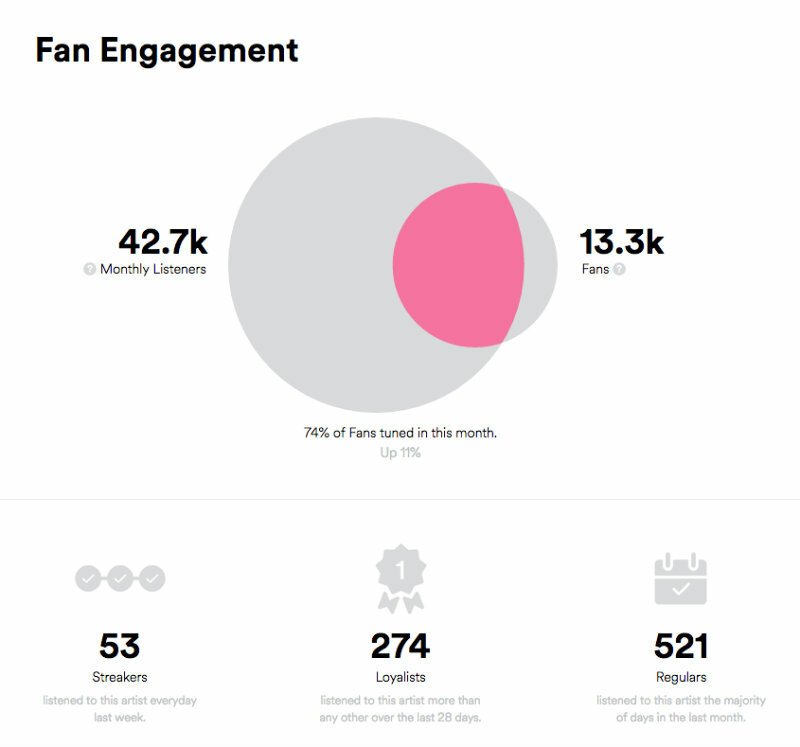 Other details featured on your Fan Engagement panel include data about specific types of fans, like the number of Regulars (listening to your music most days of the month), Loyalists (listening to you more than any other artist) and Streakers (listening to your music every day of the last week). Who's listening to your music? 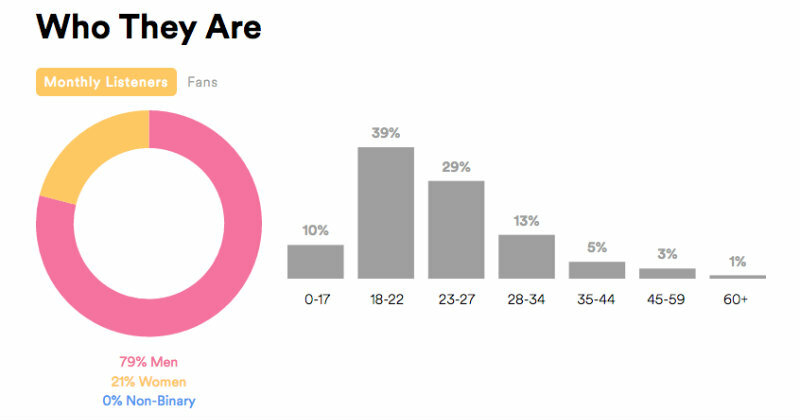 You can also find the age demographics of your Spotify listeners, including both your current fans and your monthly listeners. This data is great when you come to plan a PR campaign, giving you precise information about your target audience. Finding out how your audience is listening to your music is another excellent tool provided by Spotify analytics. You can quickly discover how users have come across and listened to your music, whether they heard it through playlists, radio, your profile page or by saving it to their personal collection. Where is your fan base? Your Spotify Fan Insights also include a colour coded map, showing where in the world your music is most listened to. You might find out something new and interesting about your fan base using handy tool, and perhaps even discover a fan base that you didn't know you had. Which other artists do your fans listen to? Want to find out which other artists your fan are listening to? This section of your Spotify analytics data shows your audience’s other favourite artists from the past 28 days, so you can see who else is making an impact within your music scene and genre. You’ll also notice that next to your Audience tab at the top of your Spotify analytics dashboard, you have the option to view your Songs and Playlists. These tabs offer insights into how many times your music has been streamed, downloaded and added to playlists across the platform. Not only can you view all of this useful information on screen, but you can also download Spotify analytics and insights for your records, helping you keep track of exactly how you are engaging with your fans on the world's most popular streaming platform. Have you used Spotify for Artists to track how your audience is engaging with your music on Spotify? Let us know in the comments and share this with your friends!